In a crowded market of hundreds, if not thousands, of online casinos, there are some industry-standard perks which are rarely neglected by any website worth their salt. For any new players, this would be the welcome bonus, which is featured in practically every online casino, from the big-name brands to the small, niche competitors. These welcome bonuses promise to make the first days, or even weeks, with the casino a memorable experience with bonus money, free spins or other goodies. Here at online-casino.ie, we’ll look at the best welcome offers available, so you can choose the right one for you. With Mansion Casino’s welcome bonus, you will double your first deposit up to €200 after registering as a new player. There’s no bonus code to remember to type in, simply make that first deposit and then accept the bonus in the pop-up to benefit from the deal. So whether you want to dip your toe in with the minimum deposit of €20 or go all in with €500, you will be starting your days as a new customer with Mansion Casino with a matching deposit bonus. Feel like playing with the big dogs? Then you’ll enjoy the High Roller Welcome Bonus which will give you 150% on any first casino deposit over €1,000. This means if you make a first deposit of €2,000, you’ll get a bonus amount of €3,000 on top of that to play with. Reap the benefits up to €5,000 and enjoy lower wagering requirements than the Standard Welcome Bonus. With a bigger deposit, you will only have to wager your bonus 15x before making a withdrawal, rather than the standard 20x. The fun keeps on going at Mansion Casino with weekly and monthly promotions to keep you entertained the whole time you are with them. Wednesday is going to become your new favourite day of the week with Red or Black. Make a minimum deposit of €25 using one of two codes, RED or BLACK, and receive free spins to play on two great slot titles. Enter RED and you’ll have 50 free spins to play on the Playtech sensation, Age of the Gods: God of Storms. Or you might want to try BLACK and get 25 super spins on another big-name title from Playtech, Jurassic Island. If they both sound equally good, you can always come back the next week so you can try them both. On your first deposit of the month, remember to use the bonus code, TOPUP, to get 100 free spins! All you have to do is deposit €100 or more and you will have 100 spins to use on the amazing slot, White King. Get your month off to the best possible start and win big with Monthly Madness. Play with all your mates and get rewarded with Mansion Casino promotion, Refer a Friend. Go to your Cashier, type in your friends’ email addresses to invite them to Mansion Casino and you’ll get a €50 bonus as a thank you if they sign up. You can invite up to 20 friends so that’s a potential bonus of up to €1,000 for you to spend anywhere in the casino. Available as an app for Android and iOS, it’s easier than ever to take Mansion Casino wherever and whenever you want and play on the go. From the smallest phone screens to the biggest tablets, casino players will love scrolling through the hundreds of games to play before tapping their way to some big wins. You can even play across multiple devices with the same account, having a quick spin on your phone while you’re on the bus and then curling up on the sofa with your tablet at home for a longer poker session. The possibilities are endless with the Mansion Casino apps. It’s best to read the full terms and conditions before taking part in any casino bonus but there are always a few common things to look out for before you start. A condition you will see in every online casino is the wagering requirements, sometimes known as playthrough. Unless otherwise stated, you can expect any bonus money or winnings from free spins to be wagered a certain number of times before they can be withdrawn. 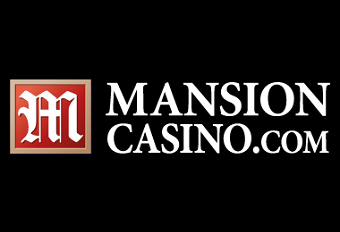 At Mansion Casino, this is typically set at 20x for most promotions, including the Welcome Bonus with an exception for the High Roller Bonus which is 15x. Compared to other online casinos, these requirements are relatively low with most sites giving 30x to 40x as their standard playthrough. So, if you deposit €20 for the Standard Welcome Bonus and receive an extra €20 bonus, you would have to wager €400 before you would be able to withdraw it.